The Eventbrite site is now live! Invitations are attached to the Activities page. Please reserve your spot to make our 2018 fundraiser the bet yet! Join us for a day of food, fun, and fashions! Your support is appreciated. Thank you! 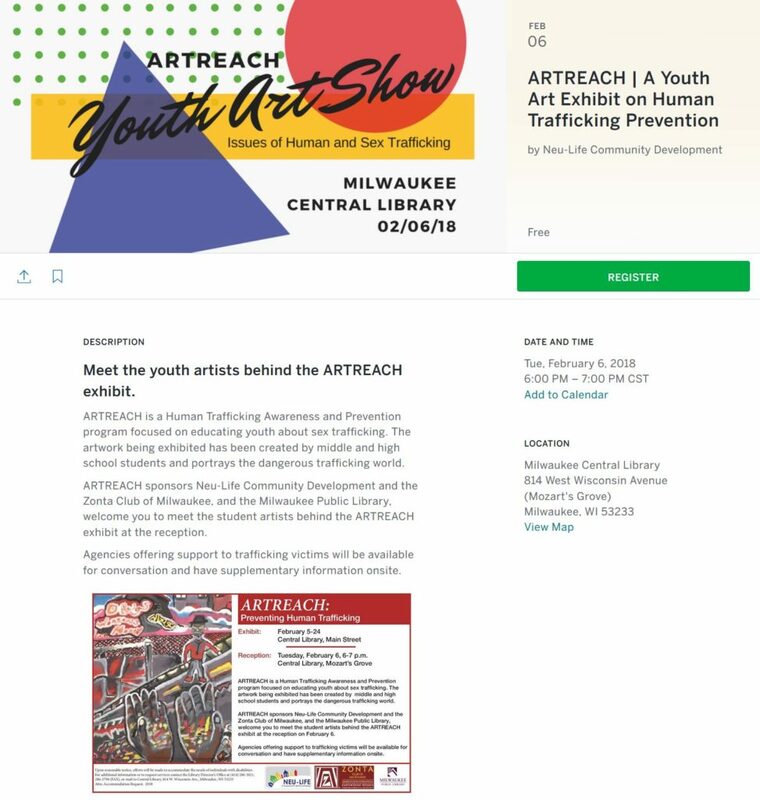 The Eventbrite site is now live! Invitations will be out soon. Please plan to reserve your spot to make our 2018 fundraiser the bet yet! We need your support. Thank you! 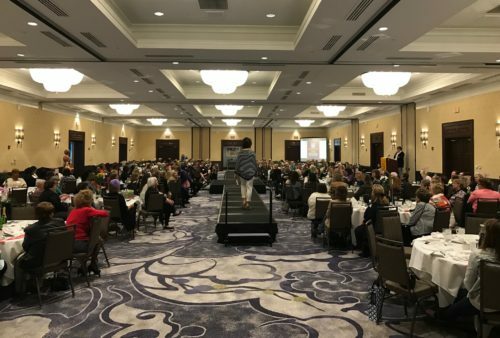 Aimed at pre-university or pre-college students (ages 16-19), this tri-level (club/district/international) award was designed to encourage more young women to participate in Public Affairs and Political Life. Applicants must show their active commitment to volunteerism and provide evidence of their volunteer leadership achievements, as well as their dedication to advancing the status of women worldwide. 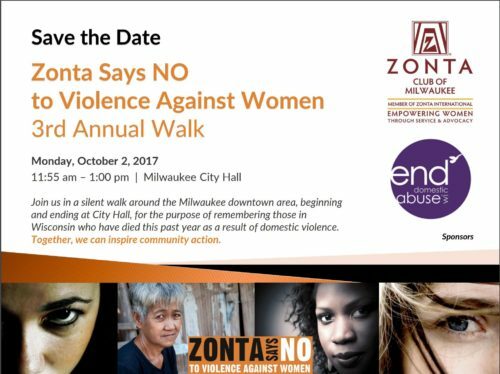 The Zonta Club of Milwaukee gives a $1,000 award and forwards the winner’s application to Zonta District 6 for consideration for an additional $1,500 award. 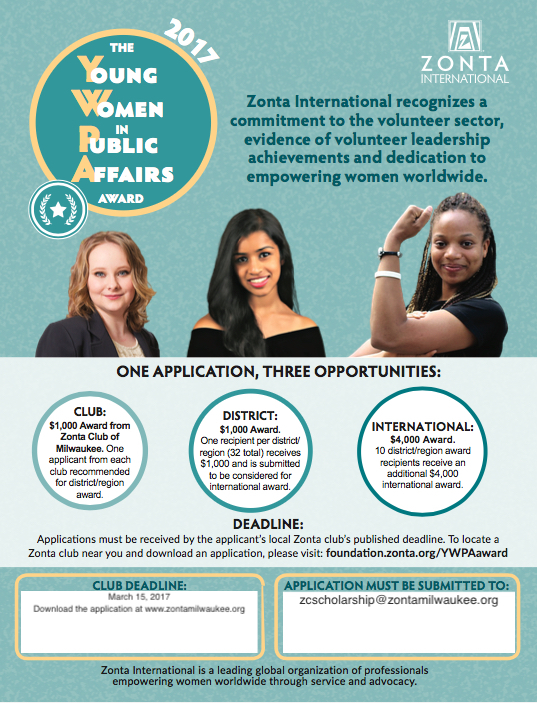 The district winner’s application is sent on to Zonta International for consideration for one of the ten $4,000 international awards. The 2018 Young Women in Public Affairs Award application is available now. Completed applications are due on or before March 15, 2018. The MS Word application can be found here. Thank you to all that made the 2017 annual fundraiser our most successful fundraiser we’ve ever had! 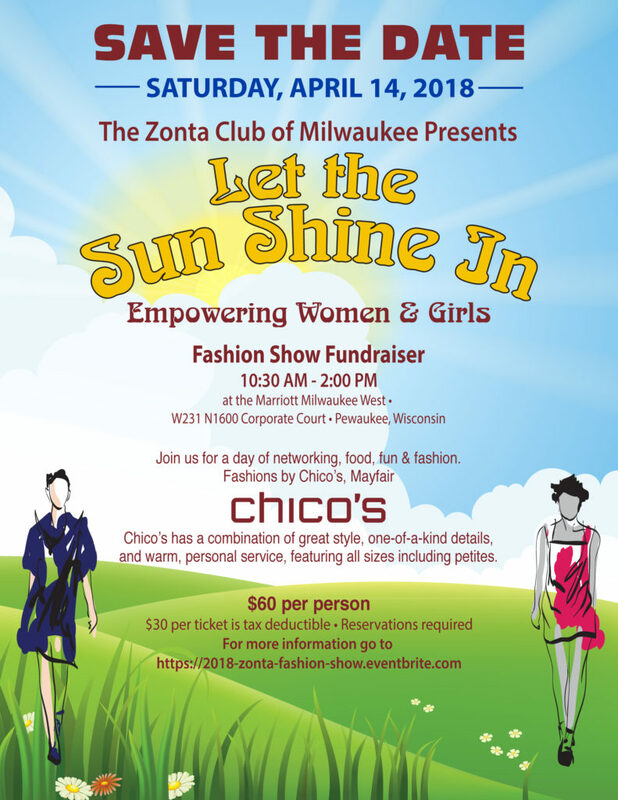 Please join us at our annual fundraiser on April 1st! 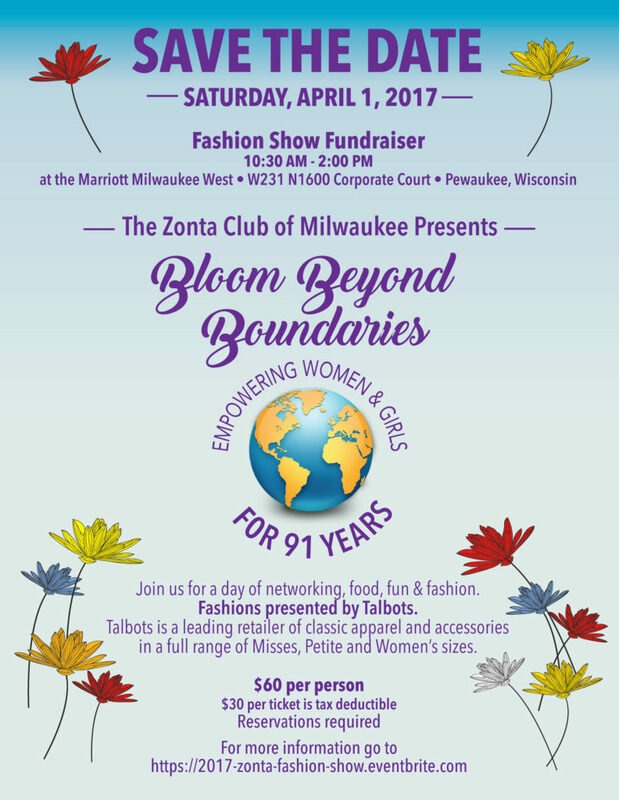 We will have silent auction, raffles, a wine pull, 50/50 raffle, luncheon, presentation of 2017 grant winners and a fashion show. 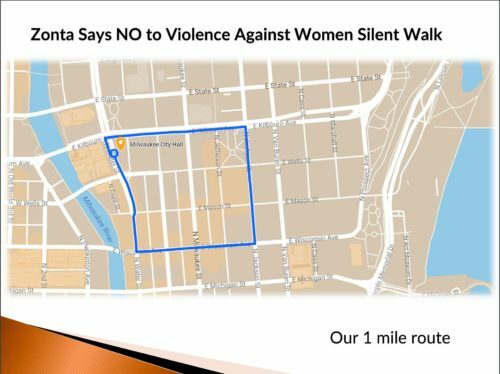 It will be a day of fun to raise money for women and girls both locally and internationally. 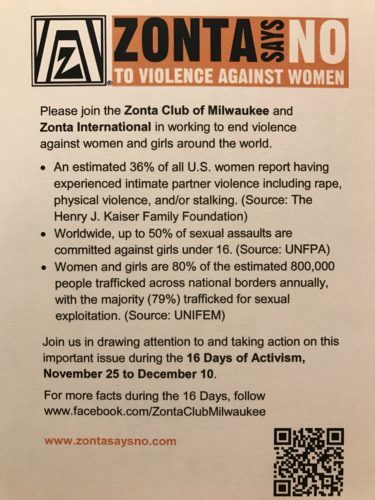 Please join us in drawing attention and taking action during the 16 Days of Activism, November 25 to December 10. Please see the scholarship section of the website for the details!